You all alone in these streets, cousin! 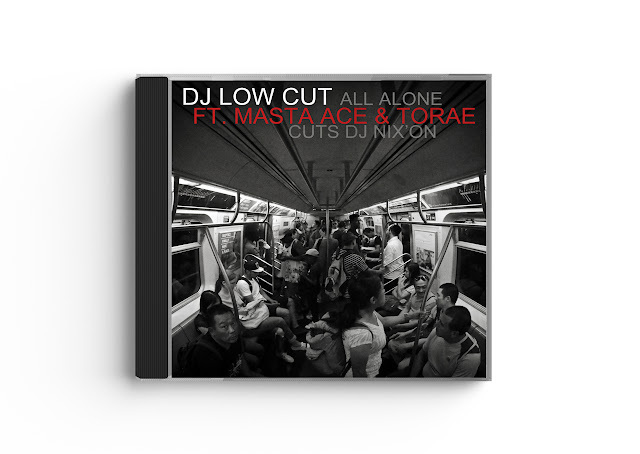 DJ Low Cut enlists Masta Ace & Torae for his single 'All Alone;' a fresh track with sharp cuts by DJ Nix'on. His 'NY Minute' project was the first project to catch my attention back in 2012, but he's been putting in work for several years out of Paris, France. His new album, 'Dead End,' is available for pre-order now and features Rustee Juxx, Nutso, Blaq Poet, Masta Ace, Torae, Guilty Simpson, Reef The Lost Cauze, Praverb (R.I.P. ), Dirt Platoon and more. Props to DJ Low Cut; follow him on Twitter HERE.